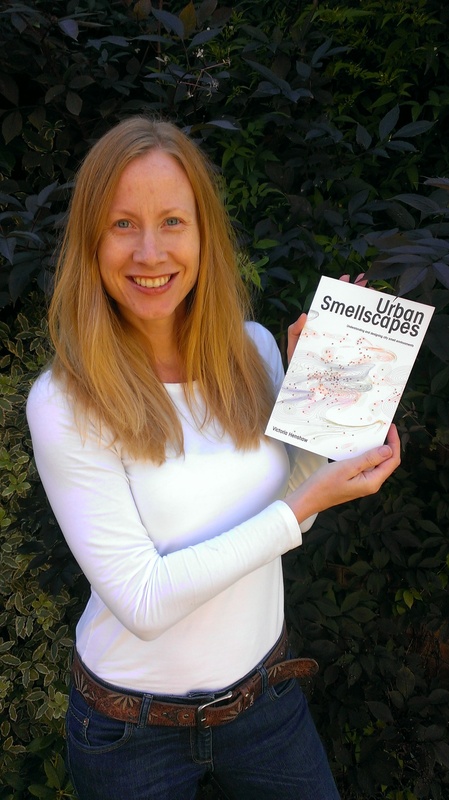 Well everyone, I’ve resisted blogging about my book ‘Urban Smellscapes: Understanding and Designing City Smell Environments’ until now as I didn’t want to drive you all crazy by publication date, but given that the momentous day (for me anyway) has arrived, and I have a copy of the book in my hands, I need resist no longer! Urban Smellscapes published by Routledge, is now out in the UK and will be published in the US next month (9 Sep). The book is the combined product of my PhD research which I carried out from the University of Salford between 2008 to 2011 examining the role of the sense of smell in urban design, and my subsequent work on the Smell and the City project with colleagues at the University of Manchester. And the eagle-eyed amongst you might recognise the artwork on the front cover as being detail from one of sensory designer Kate McLean’s beautiful city smell-maps. To view more examples of her city smellmaps, visit Kate’s website sensory maps. In Urban Smellscapes I draw from detailed research with participants in Doncaster, Manchester, Sheffield and London (UK) and the wide range of smellwalks I have conducted around the world including those in Edinburgh (UK), Seattle and New York (US), Grasse (France), Montreal (Canada) and Barcelona (Spain). I explore relationships between our individual senses of smell and personal characteristics, alongside factors relating to the world surrounding us such as the buildings and streets we walk through, the activities that take place within them and the people and objects we encounter. By drawing from people’s descriptions and perceptions of the smells they encounter, I identify a range of different tools and models for deconstructing and designing smell environments, and in doing so I hope that city leaders, architects and urban designers are better equipped to take a more positive approach to smell when designing places and spaces in the city. To find out more about the book content, please click here to access Routledge’s description for the book which includes the option to view inside the first few pages and including the contents page. Inspection copies for teaching staff etc can also be ordered by visiting Routledge’s page. 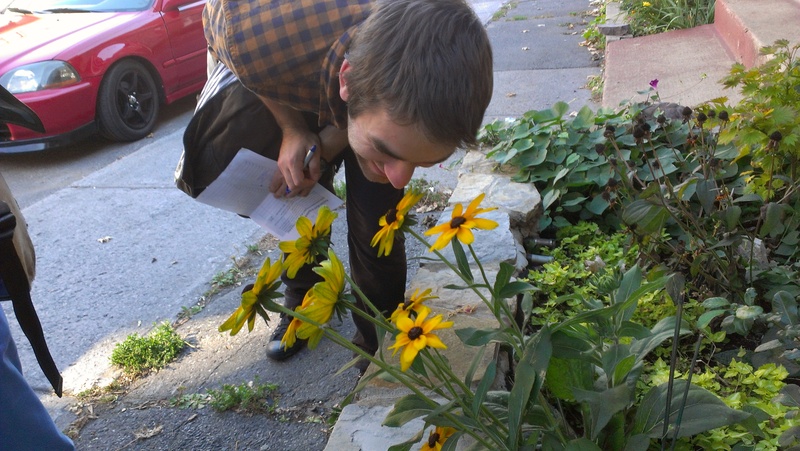 This entry was posted on August 18, 2013 by smellandthecity in Smell and the City Project.